Google's Gmail just celebrated its 15th birthday. And with a user base that is almost 20 percent of the world's population, there was a lot to celebrate. Those 1.5 billion people have a lot of untapped email productivity potential. 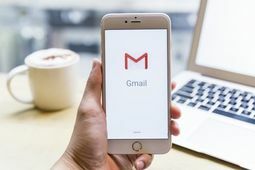 CNBC's Dain Evans shares 10 tips and tricks that will make you a Gmail genius. This man did it and so can you!